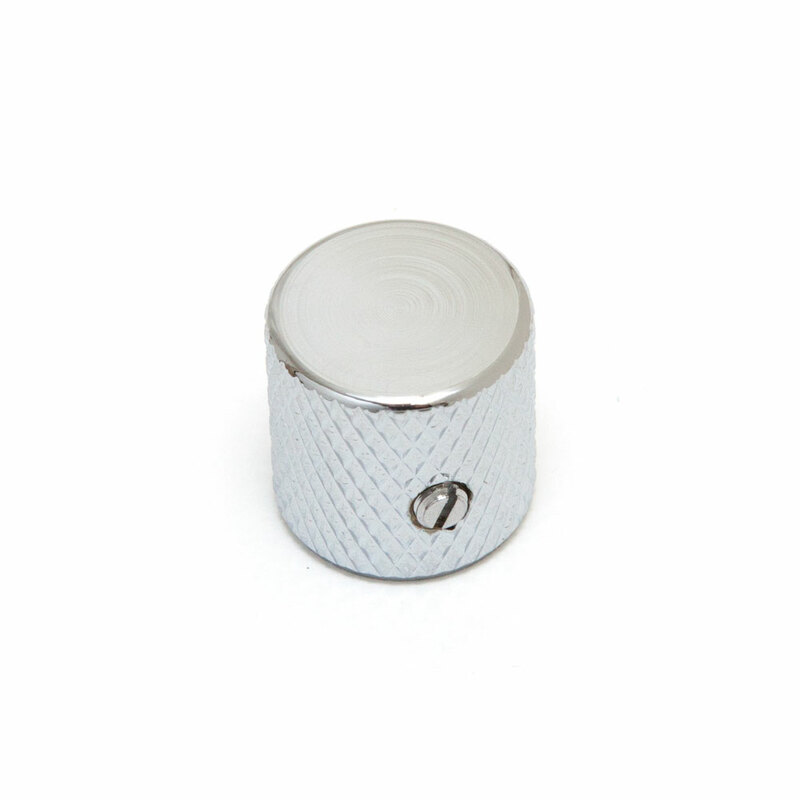 This Hosco Telecaster Style Flat Top Control Knob has an all metal construction with a knurled edge to give grip and a set screw to tighten it on to either the volume or tone control potentiometer. The knob fits all 6 mm metric spilt and solid shaft potentiometers. To use with split shaft pots, simply line up the set screw with the split in the shaft and tighten the set screw.